Do You Know the Facts About Diabetic Eye Disease? Home » What's New » Do You Know the Facts About Diabetic Eye Disease? If you or a loved one suffers from diabetes, awareness of the threat of vision loss due to diabetic eye disease should be a top priority. Don't wait until it is too late to learn about the risks. Here are eight true and false questions about diabetic eye disease to test your knowledge. 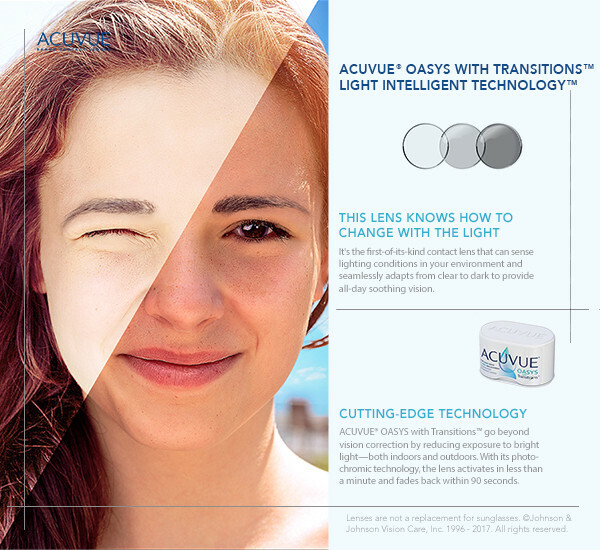 If you have any questions, contact your eye care professional to find out more. 1) Diabetic Retinopathy is the only eye and vision risk associated with diabetes. FALSE: People with diabetes have a higher risk of not only losing sight through diabetic retinopathy, but also a greater chance of developing other eye diseases such as cataracts and glaucoma. People with diabetes are 40% more likely to develop glaucoma and this number increases with age and the amount of time the individual has diabetes. Diabetics are also 60% more likely to develop cataracts and at an earlier age than those without diabetes. Additionally, during the advanced stages of diabetes, people can also lose corneal sensitivity and develop double vision from eye muscle palsies. 2) Diabetic retinopathy can cause blindness. True: In fact, diabetes is the leading cause of blindness in adults age 20 to 74. 3) With proper treatment, diabetic eye disease is reversible. FALSE: Although early detection and timely treatment can greatly reduce the chances of vision loss from diabetic eye disease, without prompt and preventative treatment measures, diabetic eye disease can result in permanent vision loss and even blindness. Currently, there is no cure that reverses lost eyesight from diabetic retinopathy; however, there are a variety of low vision aids that can improve quality of life for those with vision loss. 4) People who have good control of their diabetes and their blood glucose levels are not at high risk for diabetic eye disease. FALSE: While studies do show that proper management of blood sugar levels in diabetics can slow the onset and progression of diabetic retinopathy, there is a still a higher risk of developing diabetic eye disease. Age and length of the disease can be factors for eye diseases such as glaucoma and cataracts. The risk of diabetic retinopathy can be influenced by factors such as blood sugar control, blood pressure levels, how long the person has had diabetes and genetics. FALSE: Oftentimes there aren't any early warning signs of diabetic eye disease and vision loss only starts to become apparent when the disease is already at an advanced and irreversible stage. 6) A yearly, dilated eye exam can help prevent vision loss through diabetic eye disease. TRUE: Diabetics should get a dilated eye exam at least once a year. Since diabetic eye disease often has no symptoms, routine eye exams are critical for early detection and treatment. Everyone with diabetes should get an eye examination through dilated pupils every year, because it can reduce the risk of blindness from diabetic eye disease by up to 95%. 7) Both type 1 and type 2 diabetes are at risk of developing diabetic eye disease. TRUE: Everyone with diabetes – even gestational diabetes – is at risk and should have a yearly eye exam. In fact, 40% to 45% of those diagnosed with diabetes have some stage of diabetic retinopathy. 8) Smoking increases the risk of diabetic eye disease. TRUE: In addition to getting regular eye exams, stop smoking, partake in daily physical activity, maintain a healthy weight and control blood sugar, blood pressure and cholesterol: they all help reduce the risks of eye disease. Whatever your score on the quiz above, the most important take-away is that if you have diabetes, even if you aren't having any symptoms of vision loss: make an appointment for a comprehensive, dilated eye exam every year. It could save your sight.